Over the last two years, I’ve been using my mobile phones to produce an increasing amount of video content. Using my iPhone or Samsung Galaxy to make quick videos has proven to be very convenient, but one of my struggles has been finding reliable ways to collect quality audio while still keeping a small-sized kit. Currently, I’m using a wired lavalier microphone and/or a small RODE VideoMic Me-L. Both setups work fairly well, but what I’ve really wanted was a reliable wireless microphone setup that is portable enough to work with a small mobile phone kit. 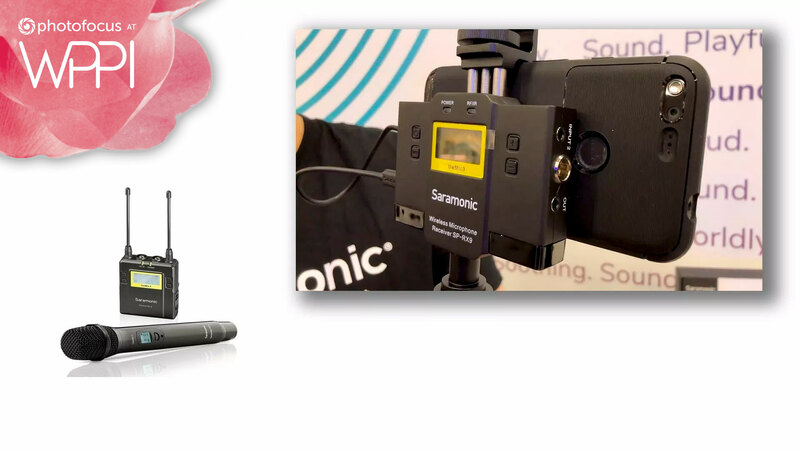 At this year’s WPPI show in Las Vegas, I stopped by the Saramonic booth to ask them if they had any mobile audio option. Joe, their national brand manager said, “Yes, but I can’t really talk about them yet.” After a little arm twisting, I convinced Joe to give us a little preview of what’s going to be released at the NAB (National Association of Broadcasters) Show this April. Here’s a video showing off a few of the soon-to-be-released” mobile audio products. I’ll update links as soon as the products are available for retail.